I have to confess, I *love* Knorr/Lipton Pasta Sides (or whatever they’re calling them these days). 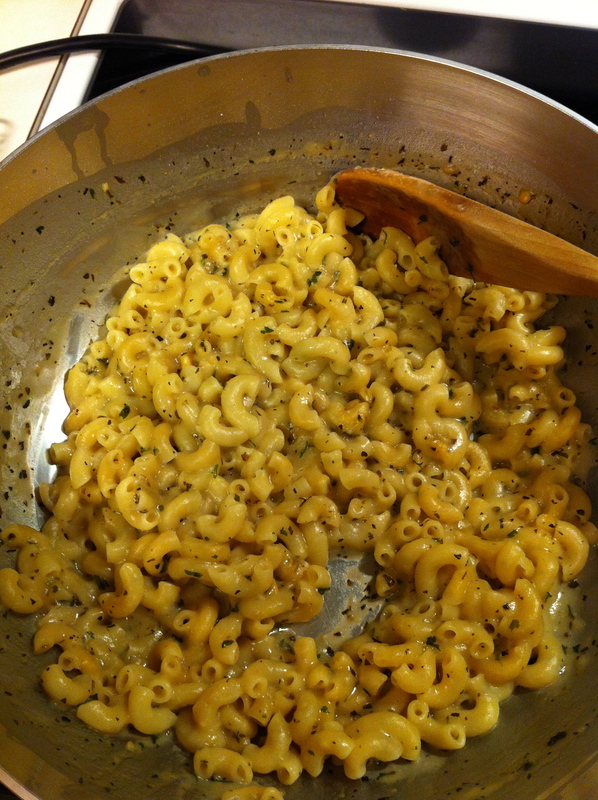 My favorites are the creamy garlic shells and the butter and herb ones. Our Wal-Mart sells them for about $1 each, with the occasional sale of $0.98, so they’re pretty cheap, and really easy to make – you just boil water, butter and sometimes milk, and add the bag of stuff – in 10-ish minutes, you have a side (or a meal). I’ve been wanting to try to recreate them myself for a while – I like the concept of quick and easy, but would like to get away from the processed food. Well – tonight, Dad and I tried. We started with the butter and herb blend. We opened it up, took a sniff to see if we could figure out which “spices and herbs” were in there, and set about making our own attempt. There’s about 4oz of pasta, so we weighed out 4oz of macaroni (the closest pasta we had on hand, the Knorr version uses fettuccine). From there, we looked at the ingredient list and started to put things together. Don’t make this at home yet – this is our first pass at the recipe, and it’s not perfect. It needs some modifications described below, that we haven’t tested yet. Boil 2 cups of water and 2 tbsp of butter, and add everything when boiling. Keep boiling until the pasta is tender (11-12 minutes for us). So, how did it turn out? OK. It’s edible, but not quite what we’d like. The taste of the milk powder was overwhelming, and not entirely pleasant. The pasta was a little harder than al dente. The sauce thickened more than we would like, and the herbs were a little off from our preferences. Next time, we’re going to skip the milk powder, and instead boil 1 cup of milk with 1 1/2 cups of water (to ensure the pasta gets cooked all the way) and 2 tbsp of butter. We’re going to reduce the corn starch to 1 1/2 tbsp, half the basil and oregano and double the garlic powder. I think it needs more salt, dad doesn’t think so, so we’re going to leave that alone for now. 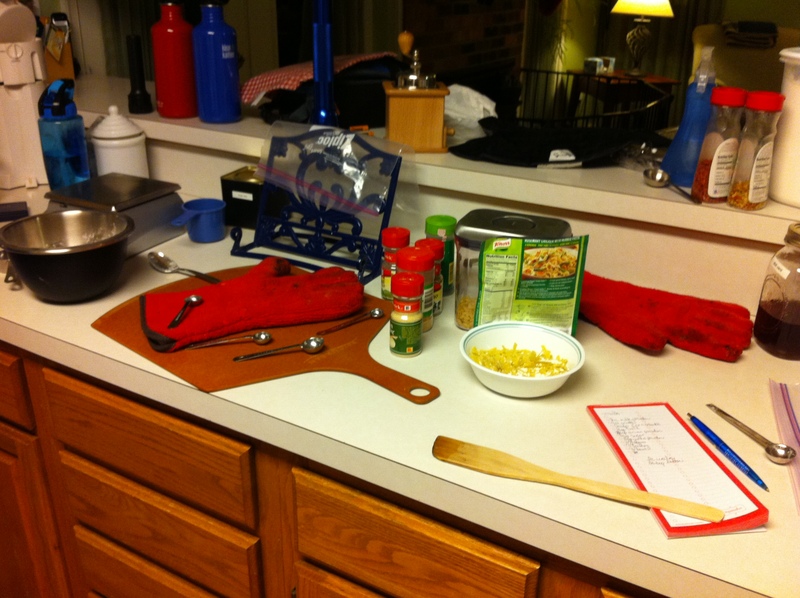 This entry was posted in Cooking and tagged cooking, pasta, recipes on January 9, 2013 by Mom.